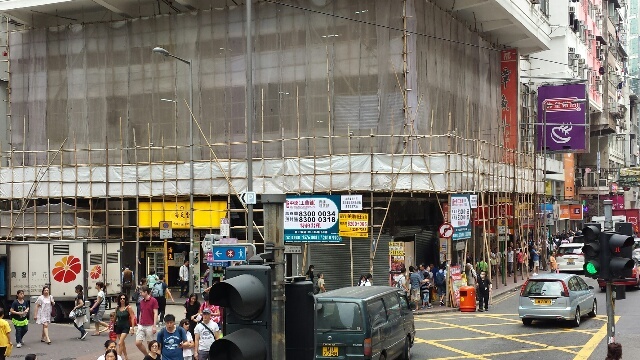 Bamboo scaffolding is widely used in Hong Kong and that is why this attracts my attention more than the IFCs or Bank of China Tower type of buildings. 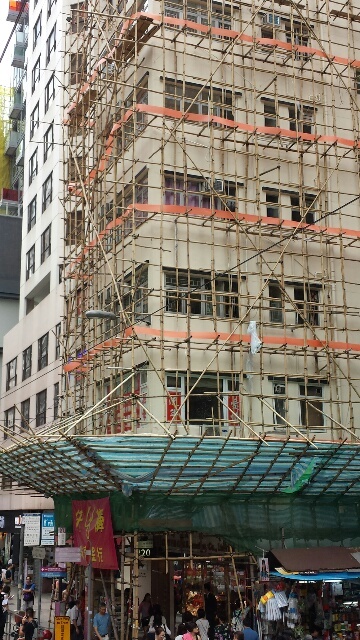 One must be amazingly skilled in tying and connecting bamboo poles together at the right places to ensure stability for construction men and materials. 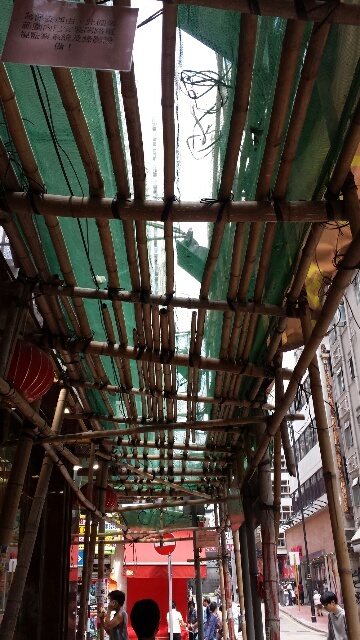 How I wish bamboo scaffolders will continue to pass on this ancient skill for generations as bamboo scaffolding takes away the look of dullness of modern infrastructure construction activity happening constantly here and there. 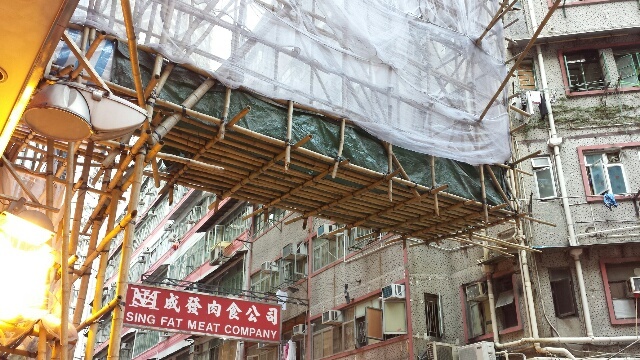 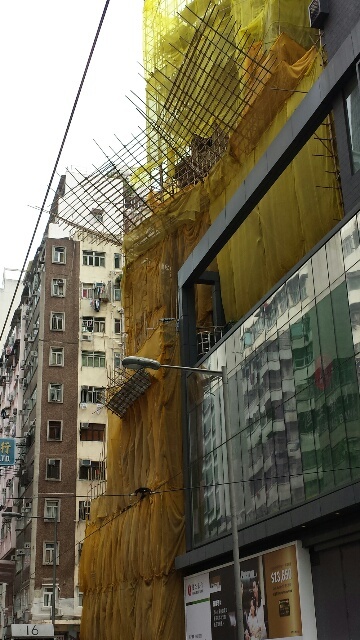 This is the first time I’ve seen Bamboo scaffolding, it looks safer than it’s sounds!